A clear-sighted revelation, a deep penetration into the world of Scientology by the Pulitzer Prize-winning author of The Looming Tower, the now-classic study of al-Qaeda's 9/11 attack. 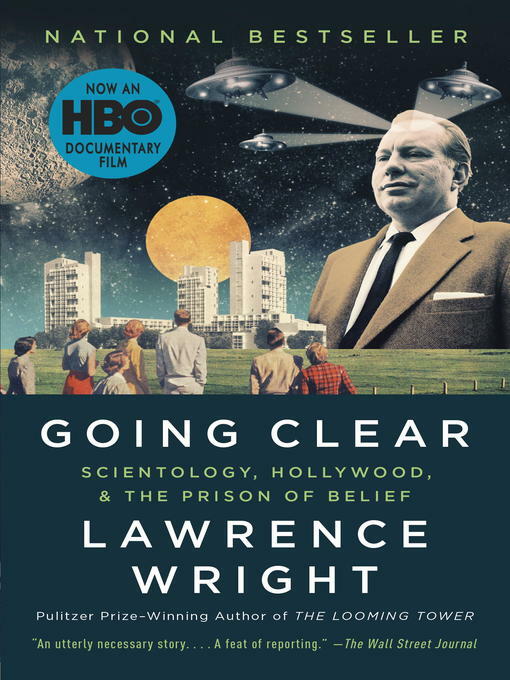 Based on more than two hundred personal interviews with current and former Scientologists--both famous and less well known--and years of archival research, Lawrence Wright uses his extraordinary investigative ability to uncover for us the inner workings of the Church of Scientology. At the book's center, two men whom Wright brings vividly to life, showing how they have made Scientology what it is today: The darkly brilliant science-fiction writer L. Ron Hubbard, whose restless, expansive mind invented a new religion. And his successor, David Miscavige--tough and driven, with the unenviable task of preserving the church after the death of Hubbard.